Andorran bank MoraBanc has merged its strategy and investment teams into one unit with the aim of bringing the firm's investment professionals closer to its clients. 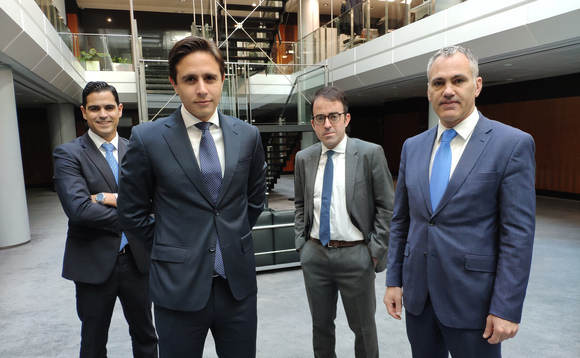 The new strategy and investment area, led by Lorenzo Casasus, will be formed by three departments: MoraBanc Asset Management that will be led by Oriol Taulats; an advisory unit headed by Enric Galí; and a new funds selection department that led by Juan Hernando, has been launched with the aim of improving the financial advice offered to clients on investment funds. The move follows the deal reached by MoraBanc with the global investment bank Goldman Sachs earlier this year, which aimed at enhancing and expanding the bank's products and services offering. Both the deal and this latest merger are inline with Morabanc's strategic plan, announced last November, whose main objective is to place clients' service at the centre of the business, the bank said. Since joining MoraBanc in 2016, Casasus has worked for the firm's business development team, later as director of the strategy of product, and currently as director of strategy and investments unit. He previously worked at the US alternatives and risk capital manager Varde Partners after having started his career at Deutsche Bank in London. Oriol Taulats, who joined the Andorran entity in January 2019, worked before at various entities including Banco Sabadell, La Caixa, Andbank and Caixa Catalunya. Juan Hernandojoined MoraBanc from Inversis in 2015. Formerly, he worked at Banco Gallego and ThomsonReuters. Enric Galí started his career as a financial consultant at Allianz Rai. He joined MoraBanc in 2005 from KPMG.